Rachel and her band join Danny Preston at KNBA's Studio. 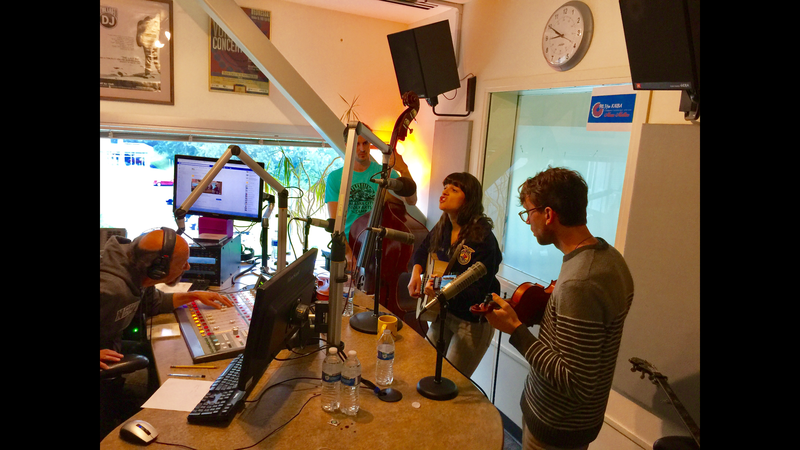 The Rachel Baiman Band, with a beautiful Americana sound, came by and visited with host Danny Preston and shared some fantastic music. The band is on tour this summer, and was letting folks know about their new album, Shame, released June 2nd. Rachel Baiman has been touring internationally for four years with the 10-String Symphony, and brought her positive energy and enthusiasm for music to KNBA - here she chats with Morning Line host Danny Preston. 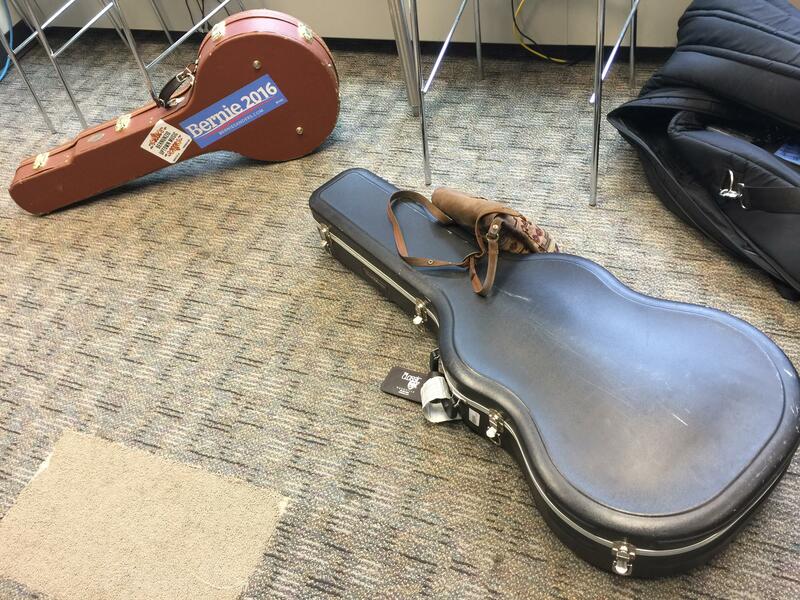 Great musicians take good care of their instruments. In this photo, we see Rachel Baiman's band protect their investments with hard cases. KNBA recently welcomed special in-studio guest Liz Vice to talk about her music. The vocalist shared her inspiring life story, as well as related this trip to Alaska was living out her dream to travel here. While in the 49th state, she got to hike in snow, during which even saw a bear, in between performances in Anchorage and Palmer. Given that it's her first trip here, that's a lucky break, and at KNBA we're all hoping she comes back! Reggae artist Clinton Fearon returns to Alaska, and as eard on KNBA's Morning Line, he's been coming on tour here for years. Fearon created the Boogie Brown Band with other Seattle-based musicians after starting a solo career there in the 1990's. Fearon's love of music and sharing spirit is as evident today as it was when he last came to KNBA in 2008. 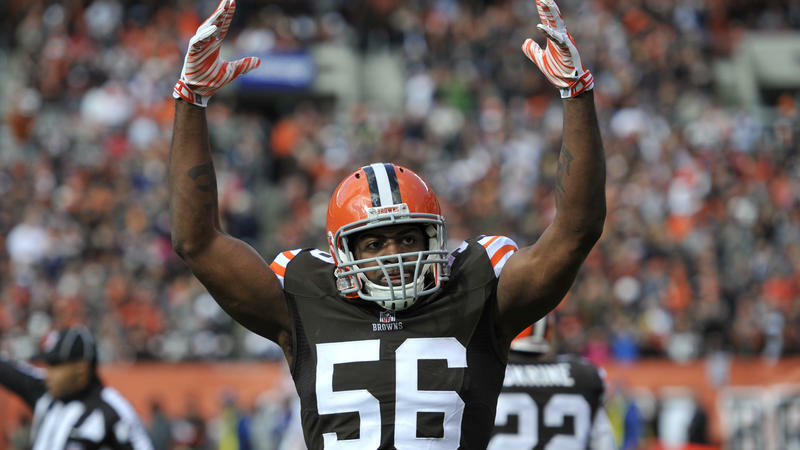 Americana: Hot Dogs, Apple Pie And Football? Every election suggests change, so given all the scandals involving football, now's an appropriate time to envision what reforms might be forced upon the sport. Well, I'll tell you: It's tough to mess with football. Now, to begin with, from hindsight, it was probably misleading to call baseball "the national pastime." The claim was, essentially, based almost entirely on the fact that baseball was the only team sport that boasted a professional presence. The World Series was our World Cup and the Olympics rolled into one. Wednesdays 8:00 pm - 10:00 pm on 90.3 KNBA, Where Volunteers Matter!